Madonna will build a stadium for kids in Malawi. 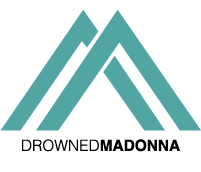 “It is actually David’s idea that we should build a football academy,” Madonna tells The Associated Press. Madonna first raised the idea with local officials while visiting Malawi last month, and bosses at the national soccer association have warmly embraced the plans, even offering up land for the construction of the facility right by the main stadium in the capital city of Lilongwe. “We presented our proposal of the academy to Madonna and they (Raising Malawi officials) are satisfied with it,” he adds. The news is a dream come true for young David, who is eager to raise the profile of the sport in Malawi and help to propel the national team to the global stage. “We will start slow and grow bigger, enter African Cups and hopefully grow as big as we can be,” David shares.